Very affordable. the software is free, you only pay for your domain name and monthly hosting (which you would need with any kind of website), and the cost of having someone build your site, if you don’t do it yourself. Easy to Update. Making changes to the existing content (pages) on your website is essentially as easy as making changes to a Word document. Completely Extendable. additional functionality can be added to your website through the use of plugins. Plugins are pre-built extensions to WordPress code that provide a specific function. If you want a contact form on your website, click a few buttons to add the plugin then configure the contact form how you want it. No custom code needs to be written – you just select the functionality you want and add it. You’ve heard the phrase “there’s an app for that,” right? In the WordPress world, we say “There’s a plugin for that.” With a traditional, static website, you would spend hundreds to thousands of dollars for “additional functionality” to be added to your website. Excellent for SEO. Out of the box, WordPress already does a great job of rendering your content search engine indexing. Add in some SEO best practices and a recommended SEO plugin on top of that and you can’t beat WordPress for SEO. A Website is a Website… Isn’t It? Well, yes and no. There are a fair number of our clients who came to us not knowing that there are options for websites, and honestly don’t care. When someone types in their URL, they want information displayed back, regardless of what’s displaying it. These are the clients who we both build sites for and maintain the content. They choose WordPress for the stability and SEO benefits, but as for the actual technology, they don’t care. And that’s OK — we take care of our maintenance clients’ sites as our own and never steer them wrong. But for business owners who want to make an educated choice about website options, here are the options that you should explore. The first choice you have to make when deciding what type of website to have built is whether you want a static website or a dynamic website. I wrote a detailed explanation of the differences in a previous post, but the bottom-line difference to a business owner is that a static website requires advanced skills to update and requires special software, whereas a dynamic website powered by a CMS (content management system) can be updated with no special skills almost as easily as updating a Word document. WordPress is open source software that you install on your web server that provides a website-building platform. The core software of WordPress provides the CMS functionality: basically, an admin panel that a website owner logs into and can add pages, blog posts, forms, pictures, and more to a website with no HTML knowledge. The design of the website can in some cases be controlled completely from this admin panel by installing themes. Thousands of free themes are available, but to have a truly unique, well-designed site, a site owner would hire a designer like The Webscaper to either customize a theme, or build a new custom theme. WordPress, and the theme you use, provides the shell of your website and the admin panel to control the website. Then you add your pages and other content, and add functionality to the site through the use of extra software called plugins. Do Other Websites Use WordPress? Most absolutely. 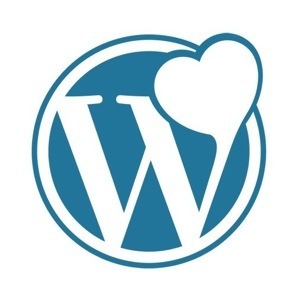 If you spend any time on the web, you no doubt see WordPress sites every day. As of this writing, over 69 million websites are running on WordPress; one of every 6 websites is a WordPress site. Over 66% of the Quantcast top million websites are WordPress websites. All kinds of sites use WordPress – from personal blogs to Fortune 500 companies. Almost certainly, at least some competitors of yours are running WordPress. This is important because the more sites that are using it, the more it will continue to be developed, and more options for support are available. 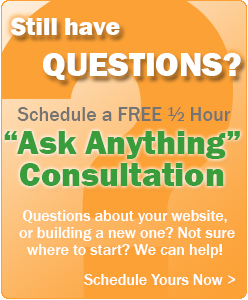 I have personally been building websites since 1997, before many people even knew what a website was. I learned source HTML first, then learned how to use HTML editors to make the job go faster. As the years went by, I learned many new technologies and used various CMS systems. I have always really enjoyed building websites; but it wasn’t until I worked on my first WordPress site that I truly fell in love with my work. It is an amazing piece of software that allows everyone, with every level of experience to take part in website development. It’s a dream playground for developers, and a really easy tool for beginners. And with all my heart, I believe it is the ideal web publishing platform for small businesses and organizations. If you’d like more detailed information, or want to get started with a fabulous WordPress website for your business, contact us or comment below!